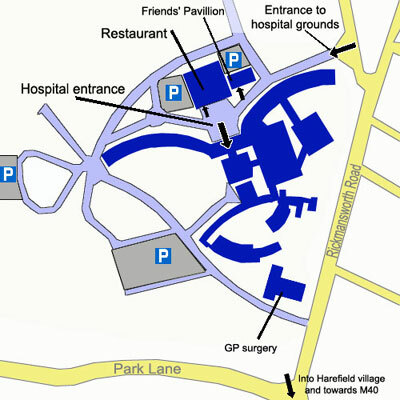 Harefield Hospital is situated in the north-west outskirts of London, close to Junction 16 of the M25 and Junction 1 of the M40. It is easily accessible to residents of West Hertfordshire, Middlesex, South Buckinghamshire and East Berkshire. For public transport options and driving directions, please click here. Harefield Hospital is not in the London congestion charge zone and there is substantial parking.